With Greyelf doing her version of a food tour in the Mission, we were sampling many different ethnic cuisines. The last thing that I expected to see was an ice cream store nestled among taquerias and Latin markets. 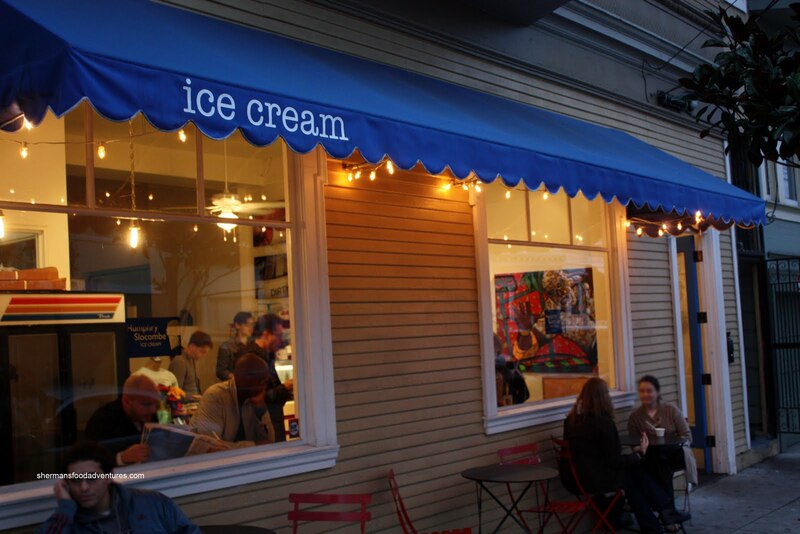 Humphry Slocombe is a collaborative effort between Jake Godby and Chris Cosentino, Food Network star and of Incanto and Boccalone. Now, we are quite familiar with ice cream. You know, the dessert with cream, sugar and flavourings such as vanilla, chocolate and strawberry (a la Mitchell's). 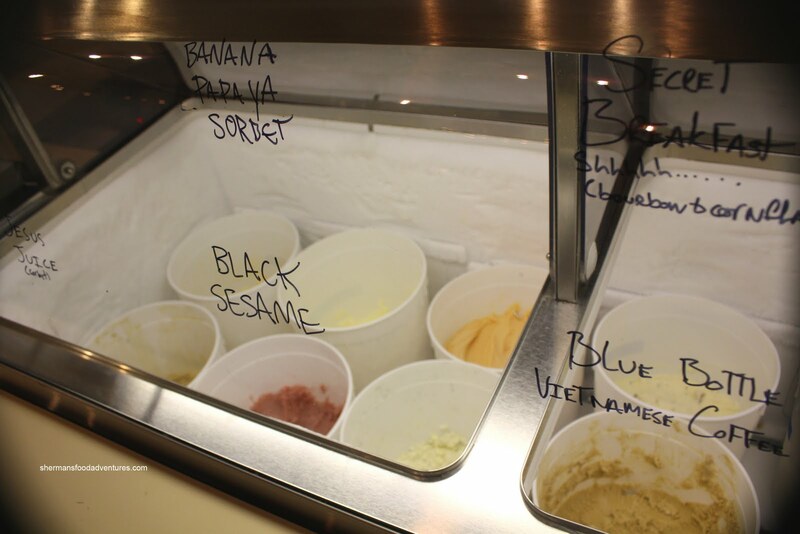 Hey, there are more hip flavours such as salted caramel and lavender (a la Bi-Rite)! But honestly, even these are getting boring. Everyone is doing it. Now Humphry Slocombe goes a bit further with such flavours as Jesus Juice, Secret Breakfast and what I tried today - Prosciutto. 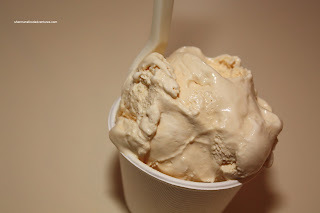 I also went for something a bit more "normal" in the Dulce de Leche as my second scoop. Now, I love pork products, especially salted ones from Boccolone and I do like ice cream. Imagine my excitement when I saw the marriage of the 2. It brought a tear to my eye. Well, not really; but I thought that would sound dramatic. In a similar concept as salted caramel, the prosciutto offered up the salty component to amp the flavour quotient of the sweet ice cream. In this case though, there was a "je ne sais quoi" with the addition of meat. 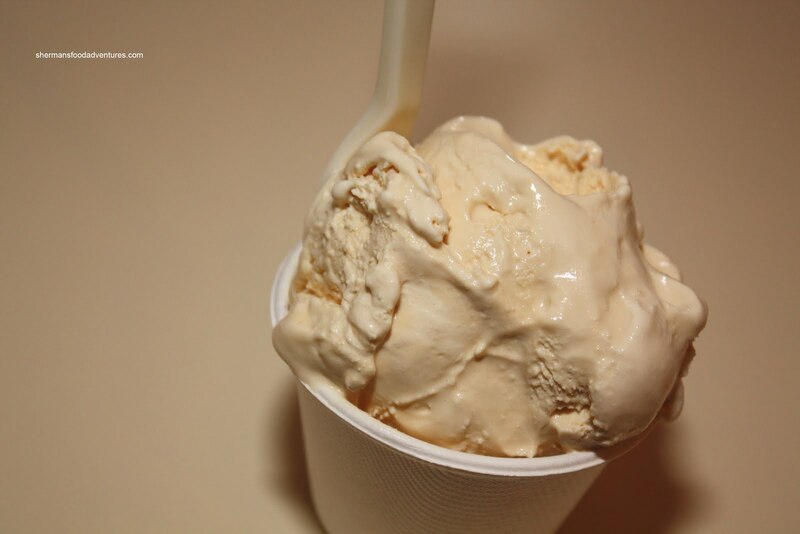 As for the Dulce de Leche, it was just plain sweet. Of course it is supposed to be since it is mainly comprised of sugar and milk. The ice cream itself was pretty smooth with a few ice crystals. Not bad at all. Some flavours seemed a bit weird; but give 'em props for trying out new things. As for me, I'll stick to the salted pork and cream.